This is just a small selection of Turquoise wedding invitations to give you some ideas. Turquoise is a shade of blue that lies between blue and green. It has characteristics associated with both of these, such as the calmness of blue and the growth that is represented in green. 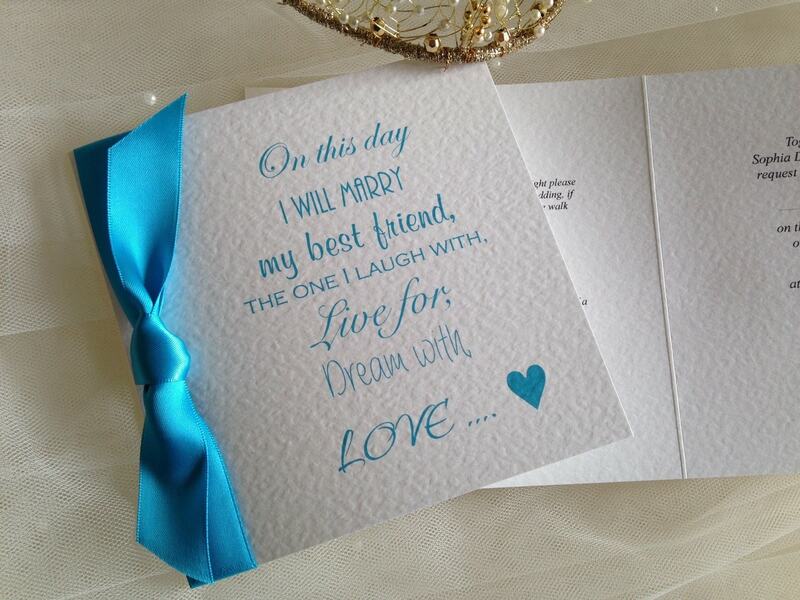 Turquoise is a popular and beloved wedding colour. 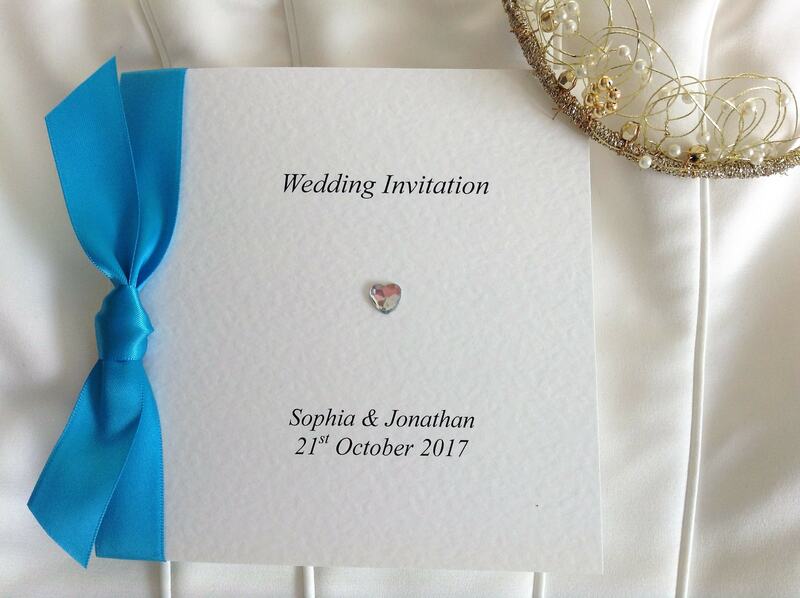 It can work for weddings in all seasons, depending on the other colour (s) it is paired with. 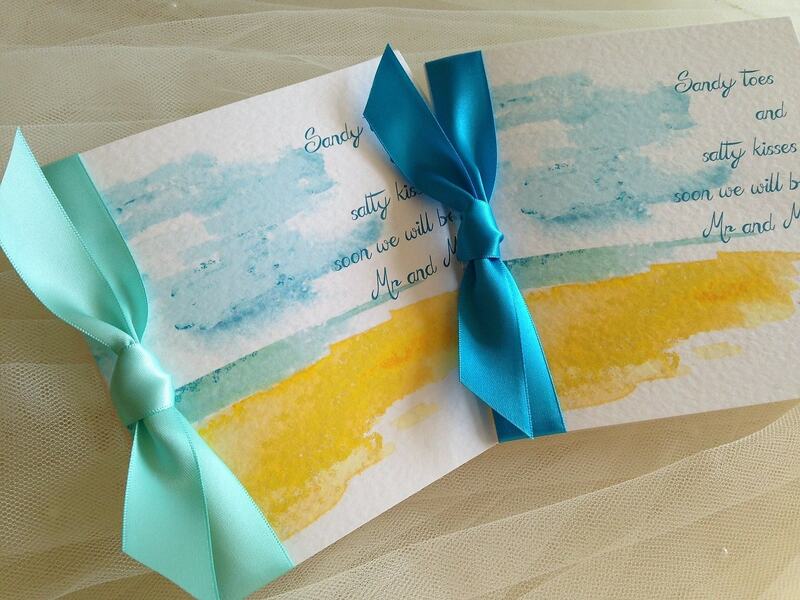 Take a look at our Beach Wedding Invitations, they look fabulous with our turquoise ribbon. We stock turquoise ribbon in satin and organza and can even print your invitations in a turquoise typeface if you wish. Order your turquoise wedding invitations today.